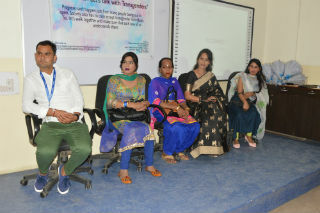 PGDM International Business organized a session of social sensitization for transgender community with NGO named PAHAL on November 16, 2018. 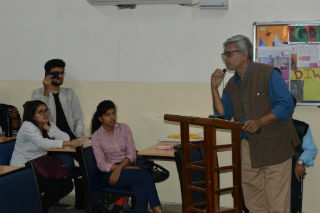 Professor S C Kapoor inaugurated the session by explaining the difficulties that transgender community faces. 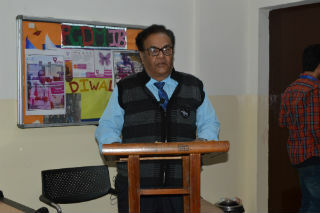 After that, the mentors in PAHAL, Mr. Pradeep and Miss. 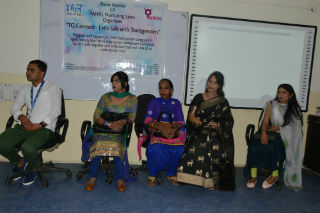 Sarita shared their experiences and hardships that they have gone through in their lives because of their sexuality. Listening to TRANSGENDERS made students understand the amount of marginalism this group faces which cannot really be described. 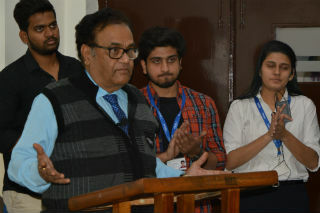 Besides sensitizing the society, we need to boost their self-esteem within the community. They shared that how they overcome the hardships in their lives and are trying to lead their lives successfully. 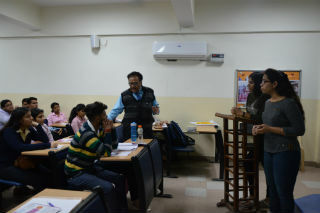 After listening to them, students got emotional and understood that Transgenders are not malfunctional people. They are like any other human being with beautiful dreams in their eyes, to which we all should support and cherish.